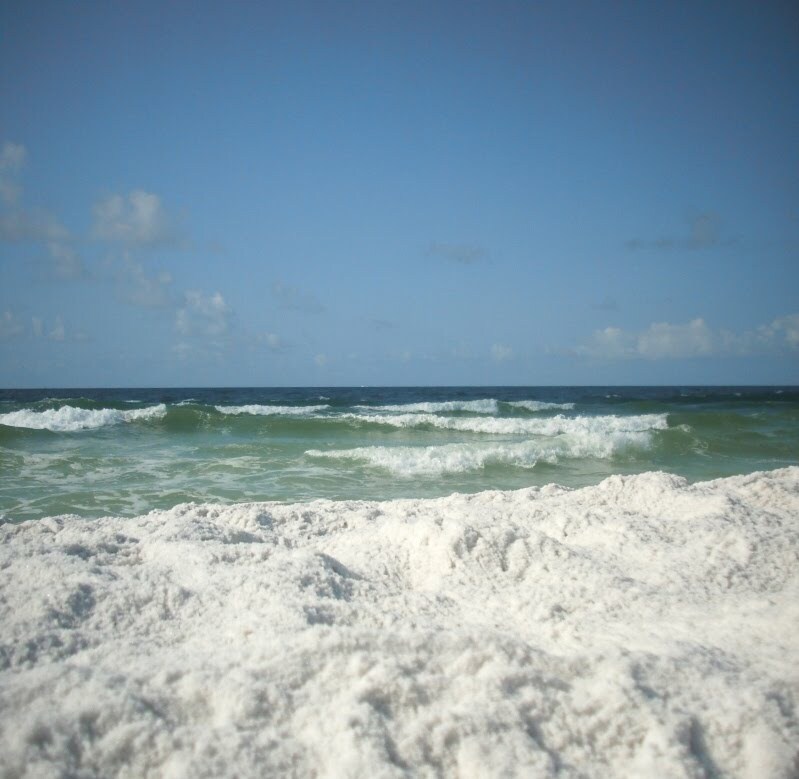 I grew up on these snow white sands of the Florida panhandle. Many a day lounging and playing here during high school. Oil has reached here as well. This makes me sad. And a whole lot angry. 'Nuf said. I am also sad about the oil on the beaches. I spent last weekend at Pine Knolls Shore, NC for a family reunion. The beach and water were breath taking. I tried to push from my mind that "later" things may not be as pristine. Your work shows another form of beauty. Keep up the beautiful work. ME TOO! I don't live on the coast, far from it, but I am saddened and angry that this tragedy has occurred. This will affect all of us in some way or other. I am so sorry that it is messing up that gorgeous coast line, killing animals, putting people out of work, has already killed 11 men, making people ill, etc..... It makes me mad that these big corporations don't "get it" when it comes to people's lives and livelihoods being more important that then almighty dollar!!!!! Prayers for you and all who live in the area. I am trying so hard not to cancel my reservations--I want to support these people in every way possible. This is a REAL tragedy for both people and wildlife. I am praying for a miracle. I grew up and am still part of oil and I am sad and angry too. Our beaches had tar on it forever in Texas, probably still does. I don't wish that on anybody. God bless! Goodness Martha, Please don't get me started...not a day has gone by in the past 47 or so where several hours are not consumed thinking/talking about this mess. It is beyond horrible for the Gulf Coast! My family and I just got back from Johnson Beach ( next to Perdido Key, Florida) and it was still beautiful. We started smelling it the last two days and there was this urgency about staying out as long as we possibly could each day, just in case it would be the last for a while. We had a wonderful time and were very sad to leave. Oh Martha, when the title of this post showed up on my blog roll, my ♥ stopped. I feared the worst. Thankfully your family are all okay. We share the same anger & grief & sadness over the oil in the Gulf. I hope some serious changes are made soon! I just read about several islands, where they have a zero carbon footprints by harnessing wind energy & by burning the straw from the fields to heat homes as well as using thermal panels on their roofs for hot water. In 10 years, they have become totally energy self sufficient & achieved zero emissions 2 yrs. ago. We need to think like they do!! Oh this is sickening and sad. My state has truly suffered enough, now our wildlife, beautiful marshes, seafood, and not to mention that oil is a big part of our economy down here. All will suffer now. Very Sad. This is really sad. I grew up in Southern California where we always came away from the beach with tar on our feet from the offshore drilling. Later I worked for an oil company which was eventually taken over by BP. We had a minor spill, but the company (Standard Oil Ohio in those days) jumped in, paid claims, washed birds, and did their best to clean up. I hope BP does the same once they get this leak capped.